It was in the midst of the great age of British exploration. 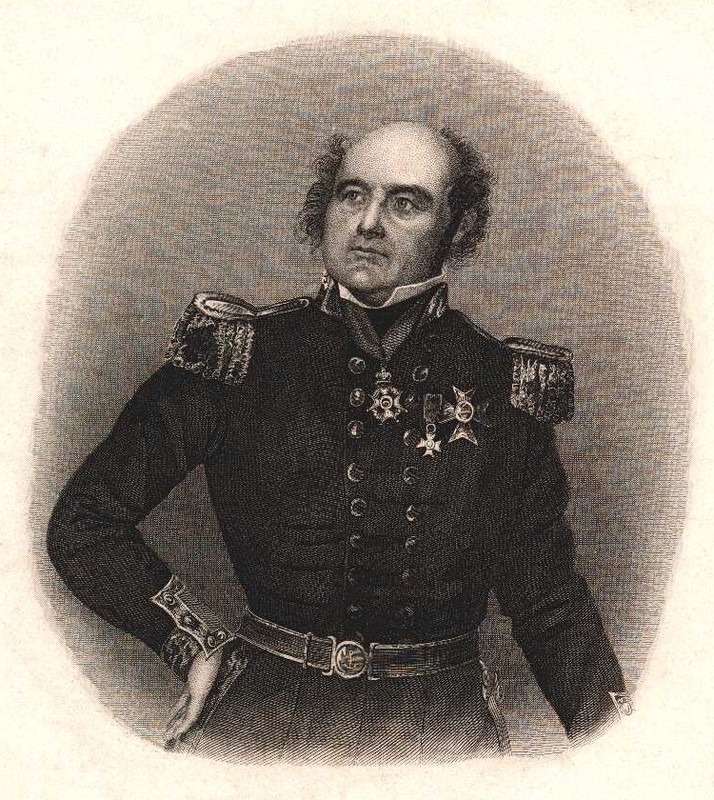 Sir John Franklin, aboard the H.M.S. Erebus and followed by the H.M.S. Terror, set out to find a north west passage from the Atlantic through the Arctic to the Pacific. The ships and their entire crews were never to be seen again. Last Night Marc-Andre Bernier of Parks Canada and Douglas Stenton of the Government of Nunavut, Canada’s largest northern territory, fully revealed the details of the recent discovery of the Erebus. The ill-fated ship was recently found resting in waters of Queen Maud Gulf. Many expeditions were sent to learn the fate of the two ships. Over the years a trickle of information revealed that the desperate crews struggled to survive in the hard Arctic environment on Beechey Island near the frozen ships. Some even attempted a desperate trek south. Searchers found the Beechey Island Camp – and a few graves. Franklin, a note said, had died in 1847. The misery of the ships prevailed into modern times with some details gleaned from Beechey Island and much more learned from local Inuits who preserved an oral tradition concerning the location of the ships. Using this information a consortium of groups led by the Government of Nunavut and Parks Canada found the Erebus in September of last year. Last night’s presentation and Internet forum revealed more details of the discovery. The Erebus lies in 33 feet of water, its massive hull damaged by centuries of Arctic winters. The hulls of both ships would have been eventually crushed by the ice. Once beneath the surface, a five foot cap of surface ice would have demolished the superstructure. 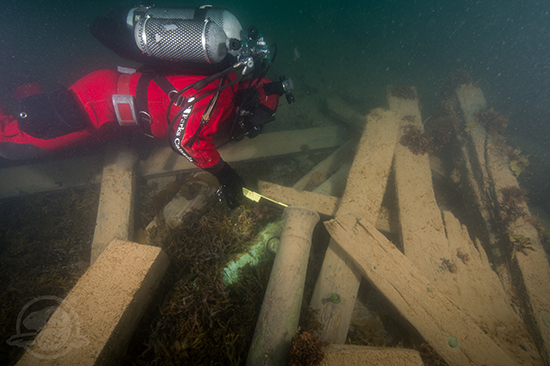 Astern of the wreck, Parks Canada underwater archaeologist Filippo Ronca measures the muzzle bore diameter of one of two cannons found on the site, serving to identify this gun as a brass 6-pounder. According to Bernier, the wreck is in a state of excellent preservation, the dark, cold water serving to preserve timbers and organics. While the exterior of the hull has been surveyed, divers have yet to enter the wreck–filled with everything needed to help the crews survive the harsh conditions. Unfortunately cans of tinned food contained high levels of lead and the water purification system may also have added to the lead poisoning. Many of the men appear to have died from scurvy, tuberculosis and lead poisoning. 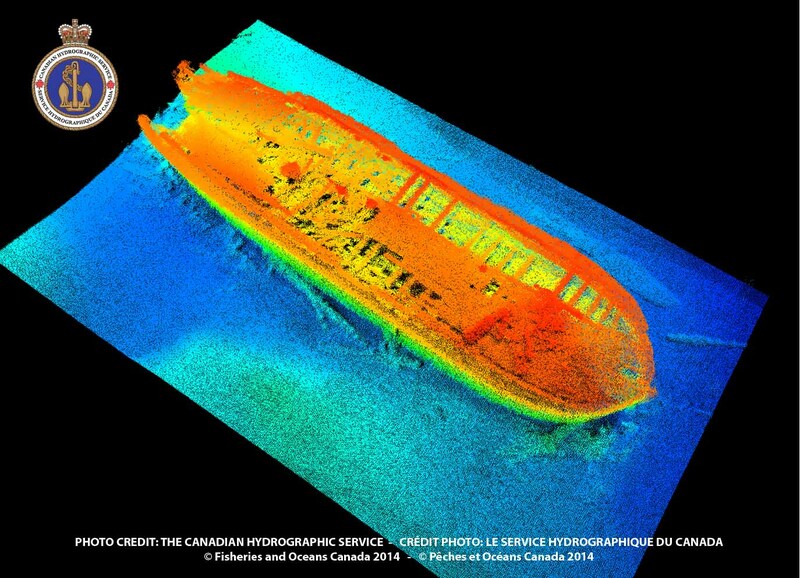 The next field season on the wreck –and the continuing search for the H.M.S. Terror–will begin in July when the winter ice over the site begins to thaw. The Archaeology Hour will bring you an interview with Marc-Andre Bernier and with Doug Stenton during its broadcast after the Pilot Show due to air in March. 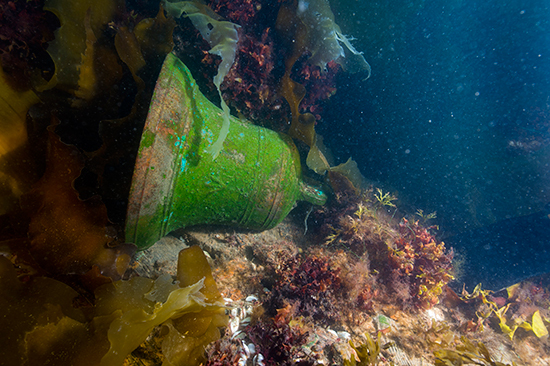 The detached ship’s bell of HMS Erebus as found on the deck. 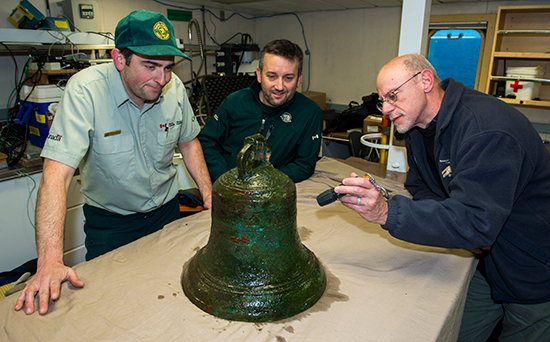 Parks Canada’s Ryan Harris (left) and Jonathan Moore (middle) examine the ship’s bell with Government of Nunavut archaeologist Dr. Douglas Stenton (right).